Our many years in the industry has afforded us a great deal of “Hands-On” exposure to how swimming pools run more efficiently and live longer! 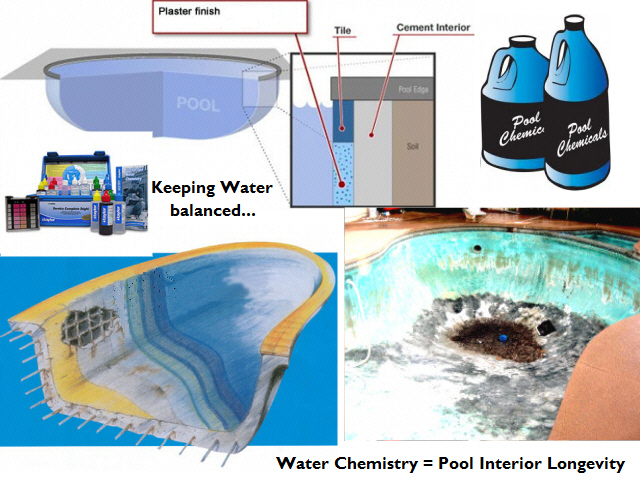 These practical remodeling and new construction understandings, together with our ability to effectively communicate the acquired factory trained protocols and field tested procedures for swimming pool nomenclatures can provide you with what is necessary for achieving 1st Class results. We of course know the value in this wisdom and this is why we have made this webpage available to you, as a resource! Besides engaging conversation, our form can also provide you copyrighted photographic exhibits, construction diagrams, plans and specification on an extension of fees basis. By completing the form below we will be able to engage your inquiry and answer your questions on the basis of time allotted. After completing the form below and submitting your information, please click HERE to review our other services. Our advice services are provided on the basis of an allocation of time and billed according to your response / request level of "urgency" selected. See our billing values for each that corresponds to the level of urgency being indicated.